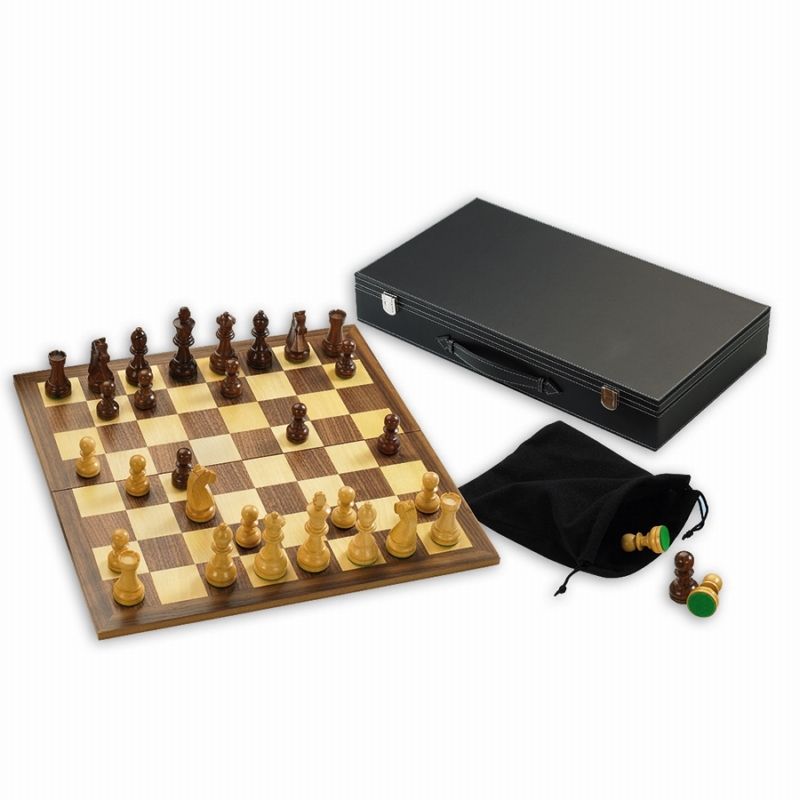 The 3 and a half inch version of the ultimate high quality chess set. A popular classic which has been given a contemporary twist. This deluxe set contains 3 and a half inch carved ‘Staunton’ style chess pieces made of Kari wood and Boxwood, each with weighted and felted bases and presented in cloth drawstring pouches. Board with 40mm squares inlaid with walnut and maple. Board measures 46cm x 25cm x 1cm.